Statistics are showing that over seventy percent of the American population is currently using smartphones and the demand for smartphone apps is increasing exponentially. 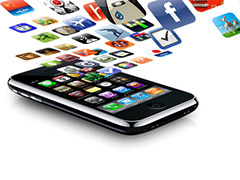 Companies around the globe are frantically developing apps to offer an ease of use. No one prints an airline ticket any longer, they download everything to their smartphone. Marketing opportunities are blossoming as the free mobile app also opens the doors to push products and services to the consumer. Smartphones have changed the way we do business, live our lives, make our purchases. It is only common sense that sports enters this playing field with mobile app abilities. If you are reading this, you might be the person who was given the assignment to get your school or team a new electronic scoreboard. You probably don’t have any experience in making these choices, but you have been doing your homework and have pretty much made a list of what your dream electronic scoreboard will be. This will, of course, include all of the extra accessories. Now that you have totaled it up, the cost has made you raise your eyebrows and you are wondering how it will get paid for. The answer to your query is one word: Sponsorship. The enthusiasts of basketball take their sport very seriously. The stadiums, schools and recreation organizations are very aware of this and make every attempt to deliver a game experience that outweighs anything the fans could see if they stayed in front of their home theatre. Today’s electronic scoreboards for basketball and glitzier, flashier and completely designed to make the game an even better moment of excitement. In the world of electronic scoreboards, you get what you pay for. There are a number of manufacturers that may come in cheap, but, that is exactly what you will get. While the costs of scoreboards have been considerably reduced, the cheaper boards have a shorter lifespan, offer fewer options and have a higher breakdown percentage. The original basketball scoreboards were the flip chart style. Someone manually flipped the numbers for each new point added to the score. These were followed by the light bulb style; controlled by a hardwired control box that at least offered a bit of a faster update. It is no secret that Texans have an intense sense of pride in their state. It doesn’t seem to matter about the topic you are talking about in Texas; the people of that area seem to feel that everything in Texas must be bigger, flashier and better than anywhere else. Texans have a lot to be proud of when it comes to sports. They have some of the best teams in the country and they make sure they invest the dollars needed to show their support. The Don Haskins Center in El Paso, Texas has to be included in that concept as they have gone over the top to have a total of seven electronic scoreboards, two with video replay. Electronic Scoreboards: Is it Just Posting the Numbers or do the Fans Want More? Any attendee of a sports game of today knows how important an electronic scoreboard is. In the past, a scoreboard was just a place to post the scores, but today’s scoreboard has actually become an integral part of the game itself. So what are we tech-savvy fans looking for when we walk into a stadium or on a field today? 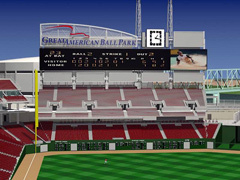 To begin with, if you have gone to a larger stadium game, you are hit with the view of some of the largest and most visually attractive scoreboards that are available. Pre-game presentations are all part of the marketing and the vibrant colors, splashing sponsor names, videos and ads; along with streaming news around the stadium is almost overkill. Today, these are the same screens that are used in gala musical concerts and events, so the sound systems must also be impeccable. Some might say that the average fan that attends multiple events might become numb to these visual and auditory effects, but, this would actually be hard to believe. Many of us might view Atlanta, Georgia from the various well known movies. Home of the southern devotion in the civil war, with a history of slavery, towering mansions and Spanish moss covered trees blowing in the wind. 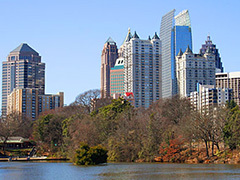 But Atlanta is so much more than that and, in the last fifty years, has grown to be a major business and sports focus in the country. Atlanta proudly claims some of the best teams in the country and this is reflected in the highest quality stadiums and fields. They are especially proud of their basketball team and this is reflected in the excellence of game attendance and their basketball scoreboards. Columbia, Maryland is a newer city and was designed with one purpose in mind: the desire to create an environment without religious or racial problems or segregation of the classes. A Utopian dream that springboarded the success of the Columbia of today. Famed for their indoor and outdoor tennis courts, Columbia boasts some of the most highly attended tennis games in the country. Ice skating is also popular with the residents and they have an incredible array of rinks. They are the proud home of the Goodfellas basketball team and every game is decked out with team colors and the latest in high tech basketball scoreboards attention. The area we now know as Greenville Mississippi is actually the third city that is called by that name. During the establishment, history, destruction and rebirth, the people of Greenville never let their city die. This is the same attitude the people of Greenville have today and they approach everything they do with that same sense of dignity. Pride in their city is also seen in the Mississippi Miracles. Their famed basketball team brings packed crowds to every game and the basketball scoreboards lend an air of excitement to the town. They are also firmly entrenched in the American tradition of baseball and this is evident at every game at Greenville Municipal Stadium. Durham, North Carolina has a history well embedded from the early days of the tobacco industry to today’s extension of the famous Research Triangle Park. Although a small town initially, Durham played pivotal roles in many of the battles throughout the beginning of the nation’s development. It has been called the Flower of the Carolinas due to the incredible beauty and charm of the area. 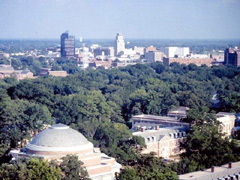 Duke University is a focal point of the town, with the Blue Devils athletic assoiation and an incredible array of sports. Basketball is one of the favorite sports in Durham and the basketball scoreboards are the focus of the game. The Native American tribes of the area were the original inhabitants and were also key to the development of The Great Indian Trading Path. This roadway became an established method for transportation of good and services in the early settlement days. The mid 1700’s brought a number of European settlers to the Durham area which was prized for its agriculture. The growth of larger plantations, along with the African slaves that became the labor in the area, encouraged the town to blossom. Northerners consider Louisville a southern state and southerners call it the northern most southern state. Wherever your opinions lay, Louisville is a city most notably known for their love of horses, their music and the incredible hospitality. Louisville is also home to some of the best sports teams around. The varius stadiums have been built with the highest tech basketball scoreboards and baseball views. 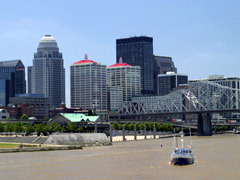 Louisville was named after King Louis XVI, of France as their troops were helping the Americans during the Revolutionary War against the British. The original site was actually settled due to a geological occurrence. It was the point where people had to stop river travel due to the Falls of Ohio rapids. The settlement grew up around the stopping point and continued to grow as river travel increased. Mount Pleaseant, South Carolina is one of the loveliest areas of the country. Offering beauty and grandeur, fun and excitement. The Department of Recreation is a center focus for the town, with facilities for swimming, tennis, aquatics and skating. This is a town that loves their sports and basketball seems to be the highlight. 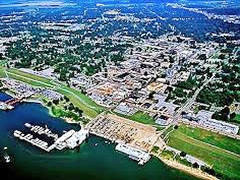 Mount Pleasant, South Carolina experienced a varied past of attack and defense to maintain its community. 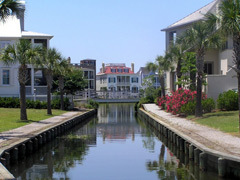 What is now one of the loveliest suburban areas of South Carolina has overcome takeover attempts by the French and Spanish as well as hurricanes and other natural disasters. The beauty of Mount Pleasant can simply be called breath taking and the residents have fought to keep it that way. There is a great sense of pride in Mount Pleasant. Pride for town, country, state and their beloved sports. 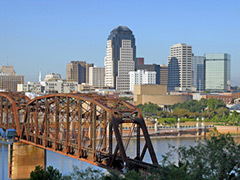 Shreveport enjoys a unique demographic location as the meeting place between Louisiana, Arkansas and Texas. 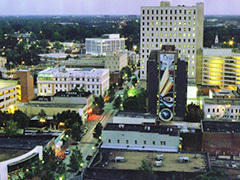 The importance of the location was the basis for the actual establishment of Shreveport as a city. However, the rich history of Shreveport has contributed to much of our culture as a nation through music, cuisine, industry and sports. Shreveport has been home to many well known sports figures and currently has a women’s top roller derby team: The Twin City Knockers. The other focus from this city is on their basketball and the game attendance and basketball scoreboards are proof of their devotion. Originally called Shreve Town, after the commander of the United States Army Corps of Engineers, the focal point was to create a town to accommodate the tri-state needs. The locale offered a meeting of the Texas Trail and the Red River, which also opened up opportunities for river transportation. A visit to Biloxi, Mississippi may be due to a number of reasons. The foremost may be as a member of the military at the Keesler Air Force Base. However, once there, you are simply taken with the rich history of the area. Biloxi is deeply entrenched in the development of our country as a nation. As a truly American town, it’s also not surprising that they are incredibly avid sports fans. Hockey is a mainstay in Biloxi and the Mississipi Surge team is part of the Southern professional hockey league. 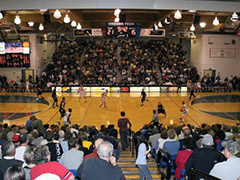 Basketball is one of the main hot sports as well, with games attended by almost standing only crowds peering at the basketball scoreboard for each point made. 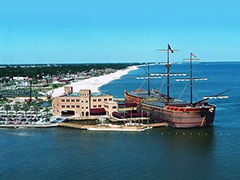 Three hundred years ago, the area now known as Biloxi was an important port area that was claimed by the French, English and Spanish. Like many of the territories of the time, the French influence was held the longest and the residents retained much of the culture in the creation of their own unique blend. The close proximity to New Orleans gave Biloxi the advantage of becoming more of a summer resort area. 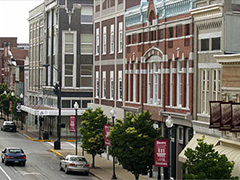 A drive through the historic downtown area of Owensboro is a glimpse at Americana at its best. There is a warm welcoming feeling in this town as you are greeted by smiles and a hand waive. It’s not surprising that the area has produced many notable sports figures, because it is just this kind of environment that cultivates fair play and team efforts. This common sense attitude is also found at every game. 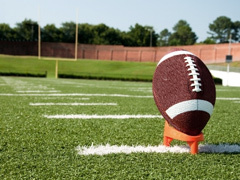 Whether in a stadium or field, the locals will offer their opinion as to the most favorite sport. You can see every eye on the basketball scoreboard for each winning point and just as many in attendance to football and softball games. Owensboro proudly shares their love of sports with every visitor. The venues are top notch, highest quality and technology. Memphis Tennessee conjures images of jazz, blues and country and western music. But Memphis is more than the sum of its parts; it is a city of strength that has overcome some of the most devastating odds to become a national treasure. Memphis also has a heart in sports, with the college teams at the center. Basketball is one of the most popular sports, and the Memphis Tigers from University of Memphis have an avid following. Memphis supports their teams with excellence in stadium attendance and basketball scoreboards. Memphis was inhabited by Native American tribes for over ten thousand years. Various European groups found the locale to be a perfect jump point for ocean voyages to transport slaves. 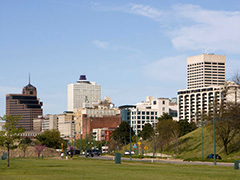 Memphis was named after its sister city in Egypt, as it shared the same kind of elevation and location near a major river. 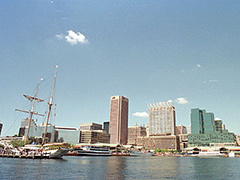 Originally home to a booming cotton and lumber trade, the inhabitants and infrastructure grew to accommodate the growth. Lafayette Louisiana is the center for Cajun and Creole. The influences of this city have changed much of the culture and cuisine of the entire country. This is a part of the U.S. that is proud of its history and has roots deeply embedded in the city that they love and this is exemplified in their love of their university sports teams. Sports fans will argue which is tops: basketball, soccer, ice hockey or football; but the stadiums seem to be filled, no matter what the sport. The original inhabitants of the area now designated as Lafayette included a number of Native American tribes. The records show that there wasn’t the influx of Europeans to this area as in other parts of the country. However, by around 1765, there was a larger group of Acadians that arrived to New Orleans from Nova Scotia. The local lands were then governed by Spanish and French, and the officials offered expanses of land to the new arrivals in the Lafayette area. Witnessing a sporting game live is an extremely memorable and incredibly exhilarating experience. Basketball, perhaps, even more so because of the fact that so much is happening in not only a short span of time, but also in a small space! The experience of watching a basketball game live is enhanced even further due to the sheer numbers of spectators and fans crammed into that space. The old adage, “the more the merrier” is tailor made for such situations. In a basketball scoreboards feature, I have taken a look at the top 10 NBA stadiums with the largest seating capacity. 10. Izod Center – This stadium is home to the New Jersey Nets and has a seating capacity of 20,049. The stadium has experienced many name changes which is why it is usually known as the Meadowlands arena. Stadiums play a big role in the overall experience for fans watching a game. After all, there is a lot more to it than the game itself. Basketball, and US sports in general are now a big show, in which the “overall experience” includes everything from getting to the stadium, the food and facilities there, and the atmosphere generated by the fans. With regard to this, the worst basketball stadium, according to the fans, is the Izod Center. In this basketball scoreboards feature, I will tell you why. The Izod Center is the home stadium for the New Jersey Nets. The first stadium ever built for the Nets in 1981 was known as the Brendan Bryne Arena. Later, it was named as the Continental Airlines Arena and then after being taken over by a clothing company, Izod, it came to be known as the Izod Center. There are many reasons why the Izod Center is disliked by fans. In almost every NBA game some kind of skirmish between the players take place; it seems to be a rite of passage in professional basketball. However, there are some games where there are out right brawls which escalade into a team wide free-for-all showdown. In this basketball scoreboards article, I have taken a look at the most memorable brawls which occurred at two of the most famous NBA arenas. 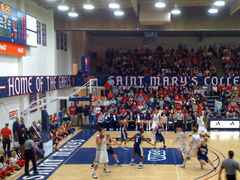 There are many famous basketball arenas, and each one is famous for a unique reason. 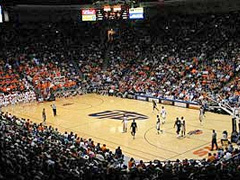 An arena is not only famous for the basketball matches that take place there but also because of many other activities that are held there. It is also about the atmosphere, the seating space and the food quality. In this basketball scoreboards article, I have reviewed the top 4 famous basketball arenas in the NBA – the ones that have all these things and more. A complete basketball arena is what best defines the Conseco Fieldhouse. It is the home arena of the Indiana Pacers, and in this basketball scoreboards article, I want to tell you more about it. This arena gives a complete experience to every fan that visits it and watches a game or two live. The ambiance, feel, and emotion encircling the arena are completely invigorating. Conseco Fieldhouse is the first and only retro plus modern facility arena. Not only the home team, but every team that plays in this arena enjoys every minute of the game. Can the Lakers make history? In a basketball scoreboards feature, I have reviewed the NBA playoff between the Mavericks and Lakers, and asked – can the Lakers win the next four games and make history? The Los Angeles Lakers are in a dreadful situation against the Mavericks in the playoffs. The Mavericks are leading 3-0 in the series. Now the Los Angeles Lakers have to do something that no other NBA team has done so far, i.e. win all of the remaining 4 straight games in the series. If they win all these games, they will make NBA history, and it will be yet another glorious achievement of this illustrious team. The Best Point Guard – Rajon Rondo or Derrick Rose? In a basketballs scoreboards feature, we compare Rondo and Rose, and ponder the big question – who is the greater?! The point guard is a vital playing position in the NBA. This players is responsible for handing over the ball to the right player at the right time. There are two styles of playing at a point guard; offensive and defensive style. A point guard has to understand the coach’s game plan and execute it effectively. His contribution is key as it does not matter how great the players are around him; if the point guard is struggling the whole team will struggle. The Celtics and the Lakers: the NBA’s most intense team rivalry of all time. In a basketball scoreboards feature, we look at the biggest and most exciting rivalry in the NBA! NBA basketball is an extremely intense game with a large number of equally intense rivalries. This rivalry often occurs when there are two great players in each team, and then fans get to see a great matchup between the two. The NBA’s most intense team rivalry has been and still is between the Los Angeles Lakers and Boston Celtics. This rivalry started when the basketball scoreboards showed that they met for the first time on 9th November 1948. The Boston Celtics’ hall of famers includes Larry Bird, Bill Russell and Bob Cousy. The Los Angeles Lakers’ hall of famers includes Magic Johnson, Kareem Abdul Jabbar and James Worthy. A point guard in NBA is also known as the play maker or the ball handler because he is responsible for controlling the ball and taking care that the ball reaches the right players at the right time. Point guards in basketball are required to understand and follow their coach’s plan and execute it. A point guard is responsible for knowing which player is in a position to score and for executing the perfect pass to him. He is the coach on the field and distributes the ball to the players. A point guard is evaluated on the basis of the number of assists rather than how many scores he has. Here are the best point guards in the NBA today. Kobe Bryant vs. Michael Jordon – Is There Even A Comparison? Do NBA players have all the control? In a basketball scoreboards feature, we take a look at the dark side of the great game of basketball; player power. The individualistic nature of the game has now reached an extreme level, and the clubs, and fans are left suffering. NBA players nowadays have more control than the management. They request their respective clubs to trade or not to trade them and the contracts means that their clubs have to bow down to their needs. The question is this..why are the players given this kind of power? Well, there is no obvious answer, other than the fact that today’s players are not only basketball players, but also celebrities off the court. They are in demand by big companies for endorsing their products and they are highly paid brand ambassadors.